Разстояние до летището 33,1 км. Имате въпрос към Royal City Hotel Mandalay? Удобно проектиран като за бизнесмени така и за почиващи туристи, Royal City Hotel Mandalay е идеално разположен в Централен Мандалей - една от най-посещаваните части на града. Хотелът се намира се на 0.3 km от центъра на града, поради което неговите гостите могат безпроблемно да се наслаждават на всички градски атракции. Понеже главните забележителности на града като Aung Clinic, Orthopaedic Hospital, Emergency Medical Center са близо до хотела, неговите посетители ще харесат разположението му. 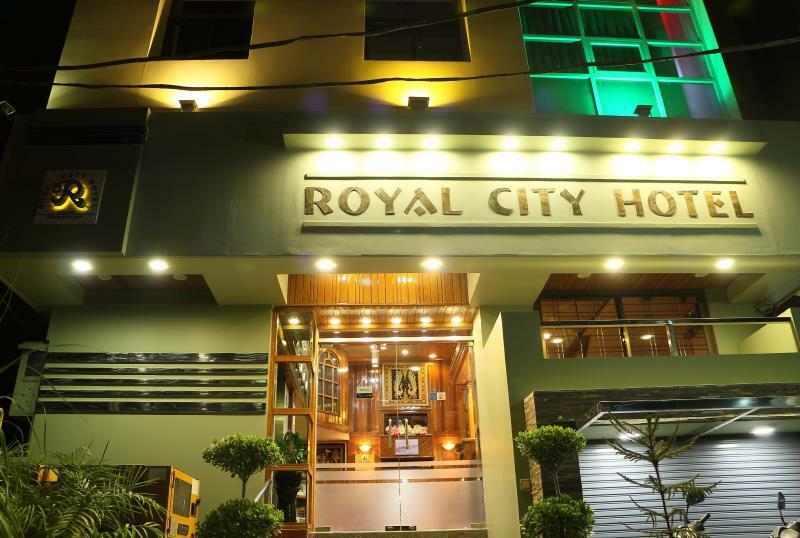 Royal City Hotel Mandalay прави всичко възможно гостите да се почувстват удобно. Затова хотелът предоставя най-добрите услуги и удобства. Подбор на съоръжения от най-висока класа като 24-часов рум-сервиз, безплатен WiFi достъп във всички стаи, 24-часова охрана, таксиметрови услуги, билетни услуги, са на разположение за Вас в хотела. Насладете се на висококачествените удобства по време на престоя си тук. В някои стаи са на разположение телевизор с плосък екран, безжичен интернет достъп (безплатен), стаи за непушачи, климатик, бюро, които ще помогнат на гостите да релаксират след дългия ден. Освен това в хотела можете да се възползвате от множество предложения за приятно прекарване на свободното време. Royal City Hotel Mandalay е най-подходящото място за Вас, ако търсите качествен хотел в Мандалай. We stayed in these hotel for 2nights and we had a very good experience thanks to the guys at the reception. They arrange for us a tour and It matched perfectly with our needs, the driver was a smiling Person able to show us around. They book for us a bus to inle lake and took care about the transport to the bus station as well! If, like us you want to go out of tourist places this Is what you are looking for! They Will Be able to match with All your requestes! Thanks again! We Will see each other soon! Отседнахме 6 вечер/и в януари 2019 г. 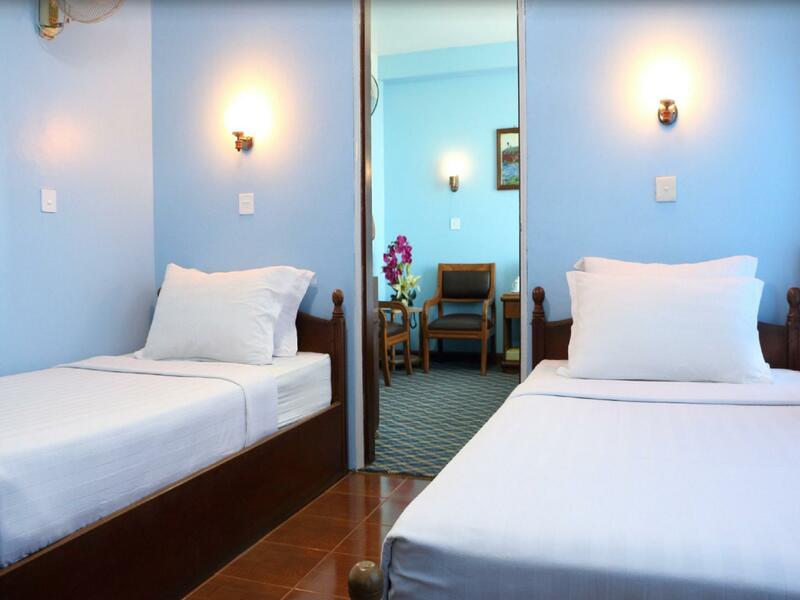 Though the hotel rooms are quite old-fashioned, they are clean and well-functioned. The rooftop breakfast's view is a plus if you like to see the sun rises. Breakfast mainly consists of fried rice, fried noodles, soup,bread, 2 eggs of your choice, fruits , coffee and fruit juice. Not many choices but enough. What we appreciate most is the staffs' service mind. One of the staff asks us all the time where we want to go and is eager to show us the way. He even show us the way to the milk shop that sells good quality milk when we said we were going to buy some. The staffs at the counter are all very nice. We always ask them to arrange the taxi . Given many taxi route choices at the same time , they still did it with smiling faces. Anyway, some taxi drivers may not have enough English speaking skill, it is needed that the hotel inform them properly the passengers' need. Very friendly and polite and helpful staff. Central location. Pleasant room, clean, quite and well furnished. Elevator and generator. Normal rate @ 35 USD in 2017 including good buffet breakfast from 7 to 9 am on terrace on top of the building. Can get discount according to season. We enjoyed the stay, the hotel is nice and clean, close to the good restaurants, the staff can help with all possible sort of transportation and in general was very helpful. The breakfast is on the rooftop, which is nice, but itself not so great. The showerhead in the bathroom is not detachable and funny - really hard to wash long hair, even the water pressure is ok, I hope they'll change it. And the ac is facing the bed, which I don't like, they have a fan though. But these are just small things. In general the place is nice. Hotel has some great and helpful staff. Breakfast is nothing extravagant.. you can't ask much for that price. Hotel is bit old. Quite near to the mandalay palace area. We only stayed one night here. Don't expect much from the hotel . But certainly it was value for money. This hotel was friendly helpful in setting up cars and bus tickets. Their breakfast which is served on the rooftop goes beyond the normal boring breakfast even in bigger hotels. All in all a good experience! 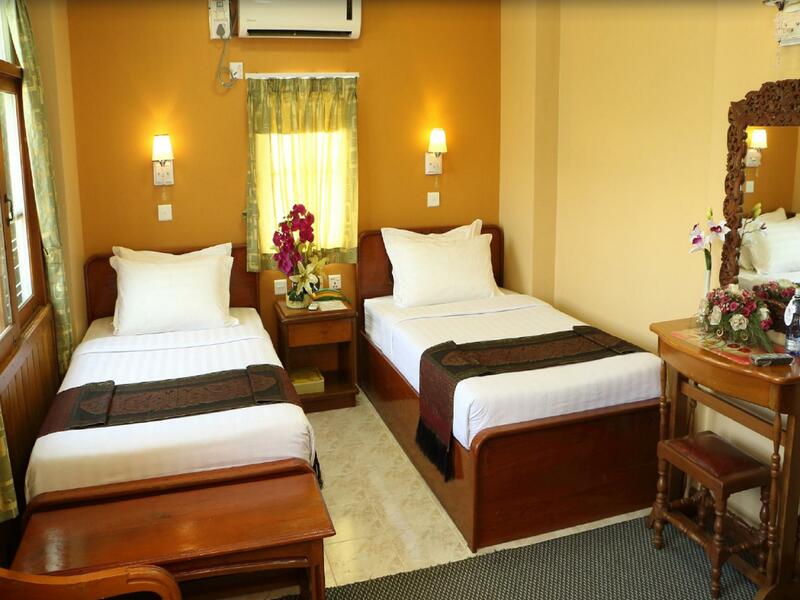 Handy to sites around Mandalay, very friendly staff, close to shops and transport. The hotel is very competitively priced for Mandalay. It is close to the moat and the Palace, and also to major shopping precincts. The main train station is a short walk away as well. The staff are very helpful and allowed me to check-in quite early. 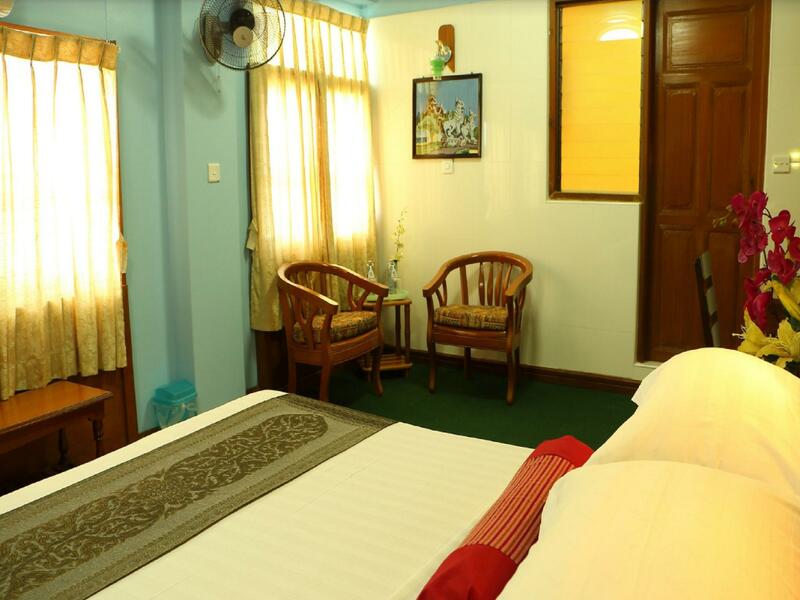 The rooms are quiet, comfortable, with good TV and air-conditioning. Although not modern, it is very clean. For a few days I would recommend it. the staff were awesome! a great place. great value. has a great pizza place right across. a must! The staffs were very helpful and friendly. They speak English well too. The hotel caters to the needs of tourists and assists them well especially even after checkout. Отседнахме 3 вечер/и в октомври 2018 г. A small & very clean property with good food & other amenities in walking distance. Decent breakfast & very helpful staff. Value for money & will definitely stay there when I visit Mandalay again! Delightful staff and a great location makes this my pick everytime I am in town. Excellent price through Agoda. Breakfast really improved. Always enjoy staying here. Отседнахме 6 вечер/и в ноември 2017 г. This is a great little hotel. Centrally located, handy to shops and restaurants. Very good breakfast on top floor with good views, lovely and helpfull staff, neat, clean spacious rooms with good bedding and air-con and hot showers. Hard to find a fault. Will stay again. 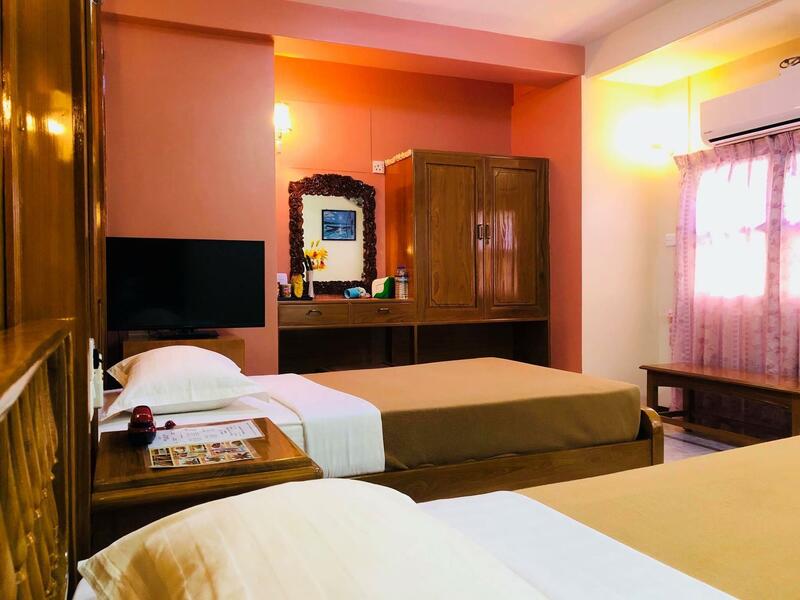 Located on a quiet street close to some good restaurants and the south wall of Mandalay Palace, it's location is hard to beat. The staff are really good and helpful: breakfast is in the roof restaurant with great views over the city and towards Mandalay Hill. 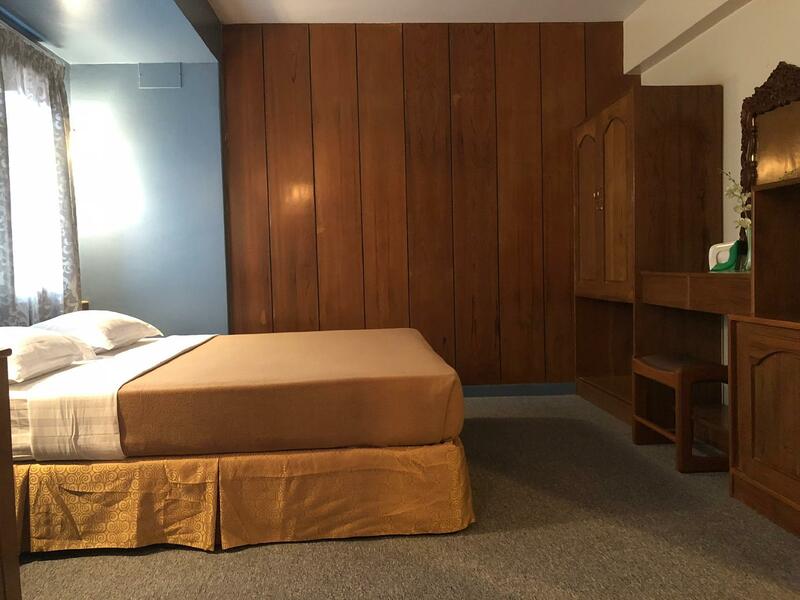 Rooms are clean and functional, but the decor is dated, and the furnishings somewhat tired, the only things that are a negative. The staff was very friendly, helpful and correct. The room had charme and were mentiously clean. The breakfast buffet was outstanding and offered both, Western and traditional Myanmar choices. Very good value for money and they recommended very reliable and helpful taxi drivers. The air-conditioner in my room did not work well. Hotel staff changed to another room, it worked but just it was just acceptable. Hotel did not has any tour information in brochures. They also did not have bicycles/motorbikes for rent. Morning staff was good at English while evening staff was not. In general, they were helpful. They let me have shower in the bath room upstairs after check out. Hotel is in center of Mandalay city and but so far to famous place to visit at there, just near palace. The room is so big and clean, I highly appreciate cleanse of bathroom. Staffs are so nice and friendly. This place was insanely inexpensive considering the high quality. Also: breakfast on the roof was awesome, air con was cold (and fan helped), fridge in the room was convenient, staff was fantastic and instantly booked all taxis, and location was great. Only con was smoking neighbors who didn't care that their rooms were non smoking (happened twice). But the hotel immediately talked to them and fixed the issue. We loved this hotel. Stayed there twice actually.